Today diamond rings have become identical with the idea of commitment and eternal love – thanks in no small part to the campaign ad saying, “A diamond is forever.” A question that begs to be answered is whether this was always the case or not. Have diamond rings always been the obligatory betrothal symbol? Do these rings mean the same today as they did decades or centuries ago? A quick look at the history of this piece of jewelry shows the differences between its value and meaning in the past and what it stands for today. The early Egyptians were the first to create rings made of precious metals. Burial sites show that by 2800 BC, Egyptians had been buried wearing single wire bands of silver or gold worn on the finger believed to be directly connected to the heart, the third finger of the left hand. It is not known, however, if these rings were given in the same spirit that contemporary engagement rings are. Second Century BC records show that Roman grooms gave their brides gold rings to be worn during the wedding ceremony and iron rings to wear at home to show how their wives were legally theirs. Everlasting love probably had little to do with putting this ring on a bride's finger; thus, the concept behind it is far removed from what today's engagement ring symbolizes. A century later sultans and sheiks used puzzle rings to identify their wives. Again the purpose of those rings is very different from the romantic intention attached to them today, and based on when they were given, technically these rings were wedding rings. Rings were first clearly identified as a token of the promise to wed in the 1200s. In 1215, Pope Innocent III declared that there was to be a compulsory waiting period before couples could be wed so that anyone who had any objections to the marriage could have the chance to bring them up. 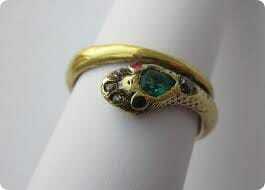 Among the royalty and the wealthy, it became customary to give their brides-to-be rings with precious stones. Ordinary folk, however, used plain metal bands, and in some countries (Sweden, Germany, Denmark) both men and women wore rings to signify that they were betrothed. In the 7th century the significance and the binding power of the betrothal ring was officially declared through the Visigothic Code. This clearly stated that when the ring had been given and accepted as a promise to wed, this promise could not be broken, notwithstanding the absence of a written contract. Although at this point the rings were clearly engagement rings, there is little to indicate that the sentiments involved in giving them were the same as those that stand behind the engagement ring of today. Finally, in 1477, Archduke Maximilian of Austria proposed marriage to Mary of Burgundy and gave her a diamond ring set with flat diamonds in the shape of the letter M. History books make no outright mention of whether it was a love match or a politically expedient alliance. 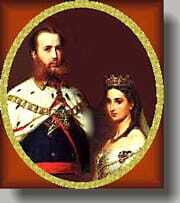 However, some mention that a major factor in the marriage was Mary's considerable fortune while some will throw in the information that Mary chose Maximilian even if she had other suitors. 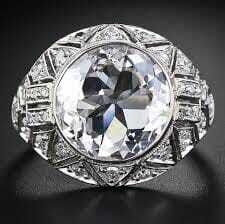 In a manner of speaking, Maximilian's ring may very well be the first diamond ring on record as a betrothal ring. Most of the promise rings during this tail end portion of the Middle Ages consisted of bands with sayings inscribed on the inside. Called poesy rings, these were either plain or engraved with hearts or symmetric designs. The 1800s heralded major qualitative changes in the make and motivation for giving engagement rings. A major influence of this age was Queen Victoria whose engagement ring was designed with an emerald set on the head of a snake. As expected, the upper echelons of society at that time quickly followed suit and adopted themes from nature. It was during this period that engagement rings started to become expected betrothal symbols. In the early part of the Victorian era, the engagement ring setting with a nature-inspired motif became a familiar choice. 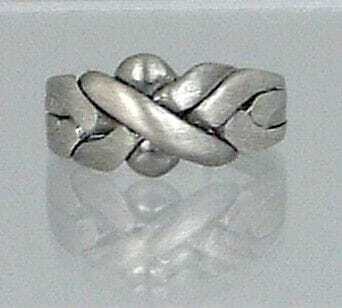 Like the poesy rings of the past, the rings from this period were usually sentimental creations. Today it is said that the union between Queen Victoria and Prince Albert was a genuine love match (at least on Queen's Victoria's part). 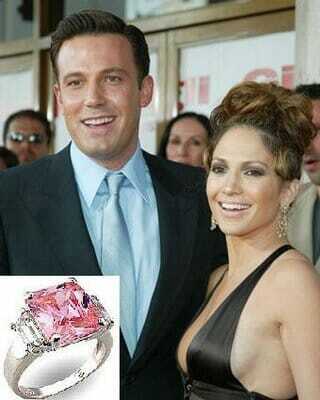 If this is true, their ring may be the first engagement ring used as a symbol of love. Apart from the influence of Queen Victoria, the discovery and development of highly diamond mines in Africa made the gem more popular among the 1800s. Never before had the world experienced such an abundant supply, and history now shows this mesmerizing carbon product would rise to be the preferred ring for engagements. Between the 1800s to the 20th century, the engagement ring became more entrenched as a tradition, and later two world wars would further change the symbolism of the betrothal ring. In the centuries before, when many marriages (especially among the upper class) were arranged, the betrothal ring meant that a woman was committed to marry the man whose ring she was wearing. After WWI, it pointed to the same commitment but it now also represented enduring love. Some of this may resulted from de Beer's successful advertising campaign. Their ads brought public awareness to the durability of diamonds and connected this quality in subtle (and not so subtle ways) to how love should be. Engagement rings have evolved through the years just as the perspectives and social norms have changed. In the centuries before World War I, the engagement ring was a visual indicator clearly stating that a woman was out of the marriage market. Some commentaries state that the ring may have been part of the bride price, a tradition dictating that men give monetarily valuable tokens of sincerity to the family of the woman they wanted to marry. On one hand, the ring was a symbol that a man would provide for the woman who would be his wife. On the other hand, it also shrouded the woman in her role of a wife who would be subservient to her provider. The ring was also a status symbol – both for the man who would be perceived as wealthy and generous based on the value or the ring, and for the woman whose social identity was substantially derived from her husband-to-be's status. Men and women have come a long way since the time when “the rule of the thumb” regulated the size of the stick with which a man could beat his wife. It is only to be expected that the engagement ring and the wedding ring be viewed differently from how they were seen before. In fact, even wedding vows have changed quite a bit from the way they were phrased before; many insist on being declared as “husband and wife” rather than “man and wife”. Today's engagement rings have become symbols of love and commitment more than anything else has. It is true that the cost of such a symbol may still be reflective of the economic capability and social status of the groom-to-be, and there is admittedly a lot of pressure for men to produce an acceptably valuable piece. However, rings today seem to profess a mutual bond that was probably rarely present in the arranged unions of the past. 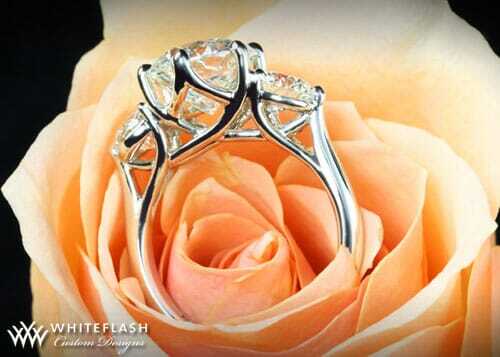 Most men today do their best to pick a ring their intended will like when they pick the piece they will propose with. At the same time, it is no longer unusual for women to be anything but shy about their preferences. Many brides-to-be will state (or hint strongly) that they want a ring similar to Kate Pendleton's sapphire with diamonds, or a radiant diamond ring like the one J Lo once wore. Perhaps one of the pluses of engagement rings today is that couples can actually incorporate representations of whatever is significant to their relationship. Personally designed engagement rings may yet become a craze after Brad Pitt's personally designed ring for Angelina Jolie. Today's rings may no longer include the financial arrangements that the rings of the past covered; most couples enter into marriage knowing full well that together they must take charge of their finances and carve out the security they want for their future family. The elements that stand out as fundamental components of most engagement rings are love, fidelity, dedication, and most of all commitment. Together with the promise of forever, these seem to sum up the commitments that come with betrothals today, and most couples wouldn't have it any other way.